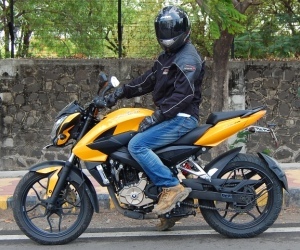 31 TVS Jive Test Ride Review.. Is it really " the no tension bike"..?? 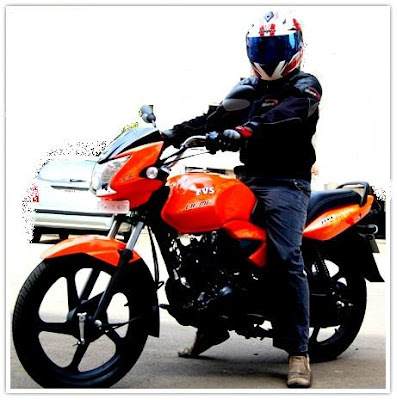 I check out the new 110 cc TVS Jive, India's first clutch less motorcycle.. If every shop around your house sell the same kind of stuff then from which shop would you buy? From any shop, after all what difference does it make? after riding motorcycles with clutch for 18 years it actually is a bit awkward not to find one..
TVS understands this and instead of putting another 100-110 cc bike in the market, they have innovated and have launched India's first "clutch-less" motorcycle the Jive and have positioned it as "the no tension bike". Looks: Nothing to excite, nothing to disappoint. 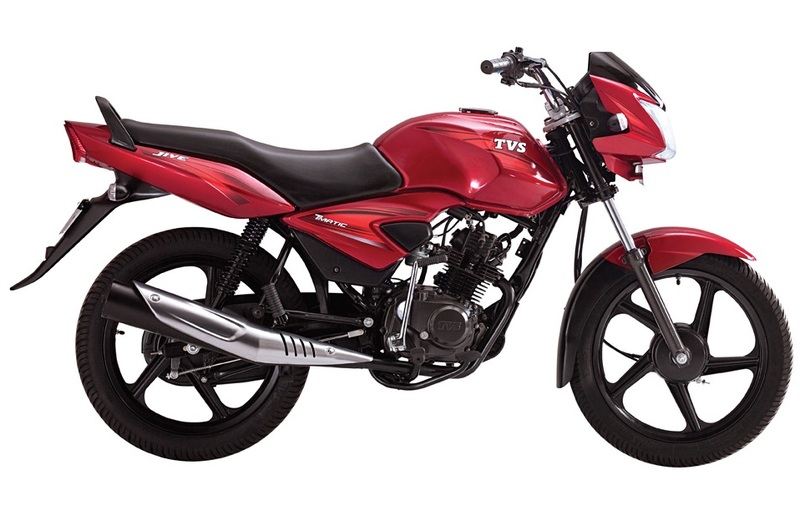 In the times of 100 cc bikes like the Honda CB Twister, the TVS Jive can be at best described as safe and conservative. The Jive might not be a head turner, but there is nothing out of proportion on the Jive either, plus the bike is roomy enough even for tall guys. The orange bike that you see here is a special color that TVS has provided for the demo bikes. The Jive actually appeared cool and eye catching in this orange shade. According to me TVS should definitely think of providing this color as an option. 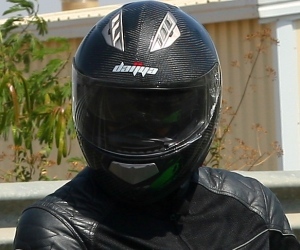 Before I describe my test ride experience, let me explain a few special aspects of this bike. What's so special about the TVS Jive? Anti knocking mechanism: Can move even from standstill in any gear without "snatching"* the enigne. * It actually should have been "anti snatching mechanism", but I guess TVS decided to go by what the common biker understands and uses terms to describe. The clutch-less gear shift feature is not totally new to India. Such a feature had earlier appeared on a step thru from Hero Honda called the Hero Honda "Street". Introduced in 1997 the Street slowly died a quiet death, possibly due to its step thru form which most Indians associate with mopeds/utility two wheeler. How does one change gears without using a clutch? Its simple, every time you have to change a gear just close the accelerator, a mechanism called the centrifugal clutch (its got a clutch after all) disengages the engine from the gears. Change the gears and then twist the accelerator, on doing so the centrifugal clutch will engage the engine. Isn't going to neutral directly from top (4'th) gear sometimes dangerous? Going to neutral directly from 4'th is not possible if the bike is in motion. Only when stationary, one can directly go to neutral from 4'th. Does the "anti knocking mechanism" work? Actually it does work. Closing the accelerator disengages the engine from the gears, therefore one can stop at a traffic stop just by closing the accelerator, one does not need to be in neutral to keep the engine running. Say you are in 4'th gear and come to a halt by closing the accelerator, now if the traffic light turns green just twist the accelerator and like an automatic scooter, the bike will start moving again without "snatching". But it's advisable to come to a lower gear when moving from standstill as in higher gears it takes a lot of time to gather speed from standstill. Even if I was totally aware that the Jive doesn't have a clutch, once you start the bike you instinctively try to hunt for the clutch to engage the gear.. after riding motorcycles with clutch for 18 years it actually is a bit awkward not to find one on a motorcycle. But after a few minutes on the bike one does get the hang if it. But even though I learnt to change gears without using the clutch, I wasn't able to use the "engine braking" (which I always do on geared motorcycles) to slow down smoothly. The ride quality is comfortable on the Jive and the handling is light. The front in fact felt a little bit light but for city use, it should be ideal. The 110 cc engine has a nice punch and pick up from slow speeds is brisk enough to keep pace with our Indian traffic. But post the 60 kmph mark (in top gear) vibrations do creep in. I have observed that the recent 100-110 cc TVS models like the Star City and the Sport now come with a rear grab rail fabricated out of tough plastic. Even the Jive comes with a similar black rear grab rail. Verdict: The Jive tries to make riding simple and stress free and features a mechanism which is similar to automatic scooters, i.e. "twist and go". There is a slight difference though that one has to change gears too. I remember that while learning to ride my dad's geared scooter, it took sometime for me to learn to synchronize the accelerator and clutch. I therefore think that for beginners the Jive could be an easier motorcycle to learn, but for someone whom using the clutch has become a second nature, not finding one becomes a bit weird. Moreover modern motorcycles in India have quite lightly weighted clutch (with the exception of Royal Enfield models). So is the "clutch-less" Jive an enticing enough proposition for the commuter? I don't know.. What do you guys think? Price: Around Rs. 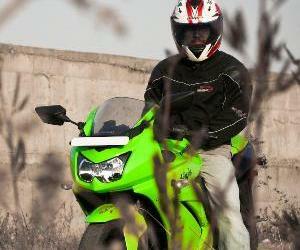 41,000 (ex-showroom), which puts it in the same league of the Hero Honda Splendor and Bajaj Discover DTS-Si. well, I can ensure myself about the bike that it has much similarity to those crowding roads in Indonesia called Bebek or Step Thru for your preference. the similarity is particularly so obvious in the way the gear is operated and from-4th-to-neutral mode as well. 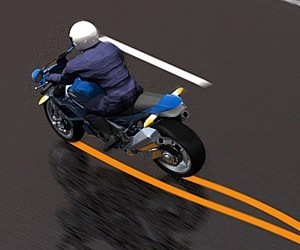 separately, the clutch is one reason why sport bike in Indonesia is less popular than those of step thru due to easy handling in the crowded roads in Indonesia. Terrific post, as always :). wow,, small engine 109,7 cc, but its look like tvs apache rtr 160..
Jive surely is a great move from TVS in it's bid to mark a dent in the market share of HH and Bajaj. 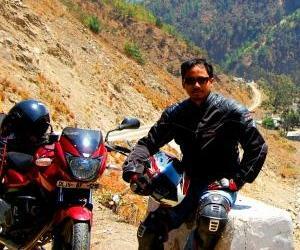 i rode Kinetic Honda for quite a long time years back, it was no-clutch-no-gear stuff. One thing is for sure very true about no-clutch family is their maintenance and costly spares. one would not feel that in initial years but as the vehicle ages..it becomes a pain!! You rightly referred to "Street". One of the reasons for street's death was what i just mentioned. But again, technology has improved heavily lately and no-clutch machines are doing fine nowadays, not sure whether it will do fine in a bike's avatar though!! I have been using Jive for a month now. Facing the problem with Gear Shifting in early monrings, (i mean starting after a very long idle time) the gear shifting is very hard till the engine gets some heat. Or I have to move the bike straight from 3 gear. I don't know if this problem exists in normal bikes too. @Above, I don't have a clear idea about the fuel efficiency of the Jive, but according to what I have read it's just a shade below the other 110 cc bikes but way better than what automatic scooters deliver. Hi I am using a TVS Jive little over a month. Great perfromance. Has been a proud owner of Jive for the last 2 months .. In one work “Awesome”…. Very Smooth, Powerful and… Mileage 53+ in city like bangalore (famous for traffic congestion). I am using this bike simce last 2 month. Immediately after purchase engine started giving knocking noise once it will become hot after riding for 5 minutes. Till now it could not get repair. no one has any clue what to be done. I made 20 round to service center. For me it is a horrible experience still. Engine knocks on accelerator on load. Till date TVS could not solve this problem. TVS has to improve on his quality. I purchased TVS Jive 2 month back and engine knocks like any thing. Hi I have bought jive a few months ago and its amazing.No problems at all with the gear shifting and stuffs!! I bought jive 3 months back.Initially i find it hard to learn driving this type of vehicle.Now i feel more comfort level with this.The great thing i noticed in this bike is IT HAS NEVER OFF BY CLUTCH PROBLEMS ,ONLY IF THERE IS NO PETROL IT WILL BE OFF. In other bikes in traffic there are more chances of the vehicle become off due to improper clutch operation.I am getting 52kmpl. I am a mechanic working on all types of Motor cycles. I am sure in intial stage of Jiva will go smooth but after a time it will have a clutch problem. This type of bikes are good for plan road like in city. But in rural area on hills and rough road is not advisable. On hill side of riding this bike will drop fuel efficiency. Any one please ensure me should I buy this bike. I have use jive since its launch almost more than 1 yr. and bike is fantastic, with good average,no Maintenance. Hey all, Thanks for your comments. I heard the news that TVS shut down the production of Jive and Flame. In this situation, One dealer offer me to buyback my old TVS Centra say around 7 to 8 years old with price around Rs.10,000/- and Bonus from company Rs.10,000/- totally they are going to deduct around Rs.20,000/- from its market value in Rajkot(Gujarat). Is this deal worthy? I expect answer from Jive experienced user. I have doubt that after shutdown of the product, will I get spareparts regularly?